What is the annual value of one new customer to your business? In today’s Internet, the online presence of your brand extends far beyond its company website. Social media matters, and the continually evolving mechanics of modern search engines dictate only healthy websites featuring fresh content with active social communities appear highest in search results. Never before has the vitality of a brand been so closely linked to the health of its collective online presence. You only have one shot to make a good first impression. If a website is unavailable, or performs poorly when a first-time visitor knocks on its digital door, the site may have cost the business a customer for life. Most site visitors who suffer a poor initial experience will actively choose to avoid the company on the web in the future. If a website does not appear high within online search results, valuable opportunities to engage with ideal customers are lost. And if online social media communities are not present to support the business, customer confidence as well as search engine rankings suffer negative returns. Welcome to business in modern cyberspace – in order to compete, it takes regular effort within a strategy aligned to business goals. Technology changes rapidly, and all websites comprising the Internet are under constant threat from various forms of attack. It is essential businesses act proactively to secure the health of their digital brand image. As the bedrock of Online Presence Management, our Availability Package effectively ensures website uptime and performance, providing the key foundation from which to launch additional high-value Internet strategies. Effective strategies for the modern Internet require time, as well as complementary efforts in related technologies that benefit collective goals, to pay dividends. With a stable website in place, strategic investment in high-value Internet technologies will help to gradually improve the online presence of a brand over time. To fill this need, we provide these closely related service offerings in the form of OPM Flex Packs, providing small businesses the opportunity to select right-sized solutions in a menu-style format to best accommodate their unique business realities. MJGuilfoyle Technology Strategists help brands continually improve by identifying opportunities, creating plans, and providing right-sized services engineered to help small businesses do big things on the Internet within a budget that makes sense.  Ready to improve the online presence of your brand?